The military helicopter crashed upon landing during a training flight under unknown circumstances. 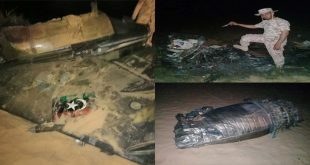 Two Afghan national army pilots have suffered minor injuries after a training helicopter crashed in the country’s southern province of Kandahar, the military said Wednesday. The incident happened at about 6:45 p.m. local time (1415 GMT) Tuesday when an MD-530 military aircraft returning from a training flight crashed at the Kandahar Airport, Afghan Ministry of Defense said in a statement. “Only two onboard pilots have suffered light wounds in the incident,” the statement said. The statement ruled out the involvement of insurgent’s activity in the incident, saying the crash was caused by a technical failure, adding that the investigation is underway. The security situation has been improving in Kandahar, the former stronghold of the Taliban, over the last months, as security forces have conducted search and cordon operations across the province.